I didn't know until last weekend that I could have Instagram on my Droid 2! 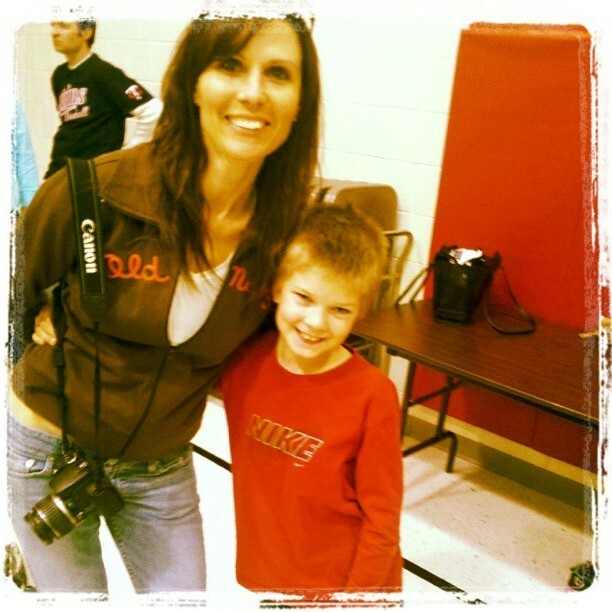 I hope to get the Razr Maxx next month so a better camera AND Instagram? The heavens have opened. Well, I finally took my first photo at the local elementary school. They were having a celebration for receiving the Award of Excellence. A friend from church snapped the photo of Doodle and me! It was fun to hang out with him just the two of us, even if it was just for a little while. Have you Instagrammed yet? What features do you like most? This newbie could use some pointers! I have it but I rarely use it! You guys are so cute! I have not and I freely admit that I don't get what makes it so special! I didn't know it was for Droid too! I am gonna have to dl it on my phone. Love the picture!! Oh my gosh, what an awesome photo of you both!! Love those smiles!